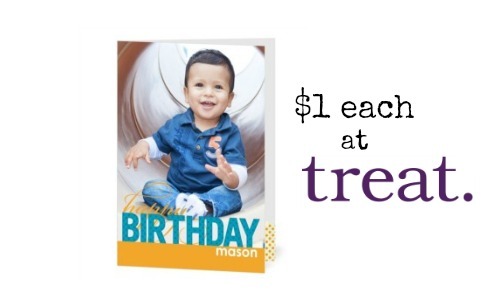 Right now you can get (3) personalized photo cards for $3 from Treat.com (they’re regularly $3.49 each)! Use the code 3FOR3NY at checkout to get this offer. These photo cards make great thank you cards, greeting cards, or you could make your own personalized Valentine’s Day cards. Treat.com has some really cool designs and templates that you can use. Shipping was 99¢ for me.